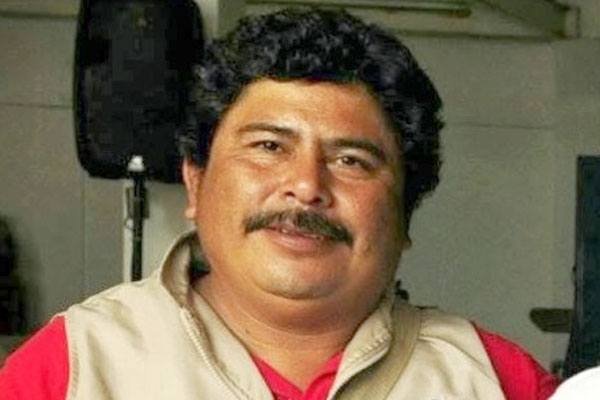 The Veracruzan journalist Gregorio Jiménez de la Cruz, who had been kidnapped on 5 February, was found dead on 11 February. The State Attorney General’s Office of Veracruz confirmed that the body of the reporter, who worked for the Notisur and Liberal del Sur daily newspapers, together with two other corpses in a safehouse in the Las Choapas municipality. The Veracruzan authorities indicate that four suspects have been arrested, including the presumed intellectual author of the murders, Teresa de Jesús Hernández Cruz. In this way, it should be recalled that Carmela Hernández, wife to Gregorio Jiménez, detailed that since her very first declaration before the Veracruzan authorities, she had referred to the death-threats made by Teresa de Jesús, owner of the El Mamey bar, which had to do with articles published by her husband in the two newspapers where he worked. These articles denounced a number of murders that had taken place in said bar. Following the confirmation of the journalist’s death, Erick Lagos, Secretary of Governance of Veracruz, stressed that the murder of Gregorio Jiménez is related to his own work, and he speculated on the “personal motives” and “vengeance” as the basis for the crime. For its part, the organization Article 19 criticized the declarations of the Veracruzan Secretary of Governance and said that “it is alarming that, as in similar cases in the same state, the State Attorney General’s Office of Veracruz seeks from the start to play down an investigation that would relate the crime with the journalist’s work, noting that a ‘personal conflict between neighbors’ explains the murder of Jiménez,” given that, in recent dates, the journalist had been covering crimes committed in the community of Villa Allende, Coatzacoalcos. Communication organizations, such as Reporters Without Borders, House of the Journalist, and the Network of Journalists Standing Up demanded that the Federal Attorney General’s Office investigate the case, because they have little faith in the authorities of Veracruz, given that one of the suspects arrested for the crime was let go due to lack of evidence. It should be noted that, since the PRI governor’s taking power in 2011 (Javier Duarte), ten journalists have been murdered in the state, with at least three disappeared, and a dozen having to abandon their work due to the violent climate generated by organized crime. Veracruz is the state where the most crimes against journalists have been reported in recent years. With 87 journalists killed since 2000, according to the National Commission on Human Rights (CNDH), Mexico is the most dangerous country of Latin America in which to exercise this profession. This entry was posted on Sunday, February 16th, 2014 at 3:54 pm and is filed under Chiapas, Disappeared, Human Rights, Human Rights Defenders, Indigenous people, Justice system, Land and Territory, Land rights, Mexico, Paramilitary, Political Prisoners/Prisoner of Conscience, Press, Women, Youth. You can follow any responses to this entry through the RSS 2.0 feed. You can leave a response, or trackback from your own site.